Drive eO, the Latvian alternative energy vehicle company known for the world’s first electric-drive off-road rally car OSCar eO, is busy preparing for its next motorsport outing. Having successfully completed the gruelling Dakar rally earlier this year, the OSCar eO is now undergoing the final phases of a major rebuild. Work will be finished in time for the Silk Way Rally, a week-long marathon rally starting from the Red Square in Moscow on July the 7th. The first day of year 2012 marked a historic event in the legendary Dakar Rally, the most difficult motorsport challenge for men and their machines. Team Latvia lined up a revolutionary range-extended electric-drive car for the start of this year’s edition run from Mar del Plata in Argentina to the Peruvian capital Lima. Based on the platform of the well-established OSCar rally-raid car, the new electric adaptation was to show and prove the strengths and potential of electric vehicle technologies. And indeed it did, completing the whole 8400 km distance of hardly drivable terrains through South America. 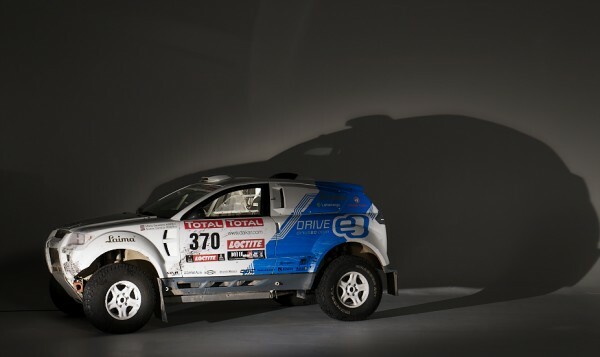 The Dakar 2012 rally was certainly a very steep learning curve for the Drive eO engineering team. What helped was the strong moral support from the fellow competitors who were constantly following the Latvian effort. And it is precisely this amicable atmosphere at endurance rallies that motivated the Team Latvia to participate at the Silk Way Rally across Russia this summer. Dubbed as “half-Dakar”, the event is run over 7 days from Moscow to Sochi, thereby promoting the 2014 Olympic Games host city. Being the highest profile rally event of Eurasia, it attracts all the leading teams to battle it out through the steppes of Volga, deserts of Kalmykia and mountains of Caucasus. Drive eO is stepping up its game and aiming for much more than just a finish in Sochi. Proving an outright competitiveness of the electric-drive car against the conventional rally raid machinery has been set as the main target in Russia. For that reason the OSCar eO is currently undergoing a three-month rebuild and testing at the company’s headquarters in Ogre, Latvia. The car will consequently have more drive torque, revised transmission ratios and uprated range extender output with higher energy consumption in mind. Close collaboration with the project’s technical partners EVO Electric and Rinehart Motion Systems play an important role in getting the most out of the electric drive train. Another key development area is the electric system supervisory controller which Drive eO manufactures and programs fully in-house. The modular control unit will now be upgraded with a new energy management algorithm developed through experience at the Dakar rally. 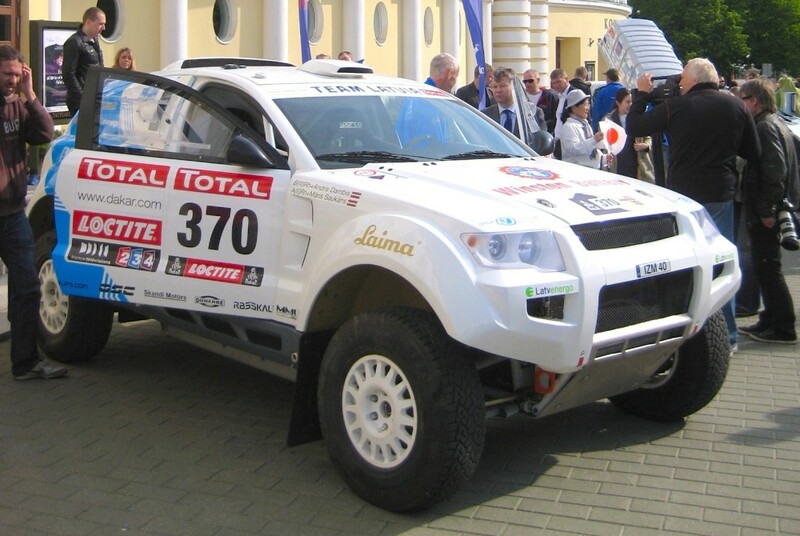 Just like at the Dakar, it will be the duo of Maris Saukans and Andris Dambis aboard the OSCar eO. However, this time the driving will be done by the chief engineer Dambis with the navigation tasks left in the hands of Saukans. Drive eO will spend all June working through an extensive road testing programme to make sure that the OSCar eO arrives in Moscow at the best possible condition. A couple of public appearances are also planned in between to bring the cutting edge technology closer to the general public in the Baltic States. On June the 1st, the OSCar eO travelled from Tallinn to Riga on the first leg of the Electric Marathon 2012. It is a 10 day event taking a group of electric cars across Europe and down to Monaco with a variety of local entrants joining in for individual days. Drive eO was proud to lead the procession into Riga for a ceremonial evening event in the heart of old town. Follow Drive eO activities here on driveeo.com and on Twitter @kdambis, as well as stay tuned with the buildup to the silkwayrally.com.